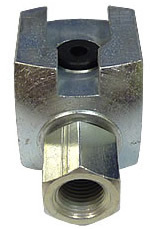 Standard Push-On Button Head Coupler. Features Rubber Insert and Adapter. Made of Zinc Plated Corrosion Resistant Steel.